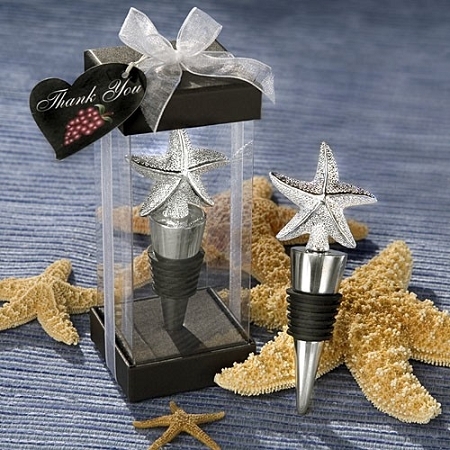 These Starfish Design Wine Bottle Stoppers are perfect for your beach themed wedding. An exquisite symbol of renewal, regeneration and symmetry, the starfish is always a crowd pleaser. 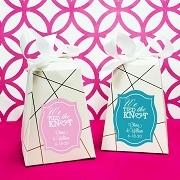 And these bottle stopper favors certainly give the starfish a starring role! Each 4.5" x 0.75" x 2.5" bottle stopper has a sturdy chrome base with a dramatic 3D shiny pebbled resin starfish topper. From our exclusive Vineyard Collection, each chrome wine stopper is beautifully packaged in our signature clear box with a black bottom, elegantly finished with a white organza bow and designer heart shaped thank you tag attached. Very cute- just as pictured. 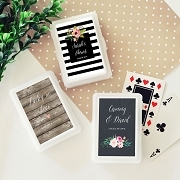 This will be perfect as a guest gift for our destination wedding. 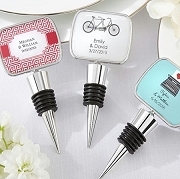 Love these wine stoppers. 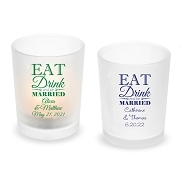 They will be perfect for my beach wedding. Thank you!